I’ve tried Energybits a few times. Back in June, sent me samples as a BibRavePro to try out for free. I really liked them but was a little turned off by the price. They reached out to me again back in October amidst craziness of midterms, work and the marathon but it was for Recoverybits. They sent me Recoverybits and En samplesergybits and I had them after the marathon. In short, it’s algae tabs for energy. From Energybits: ENERGYbits® high concentration of protein provide a steady stream of energy that prevents fatigue and their high concentration of antioxidants and Essential Fatty Acids (like Omega 3) reduce inflammation and muscle soreness. 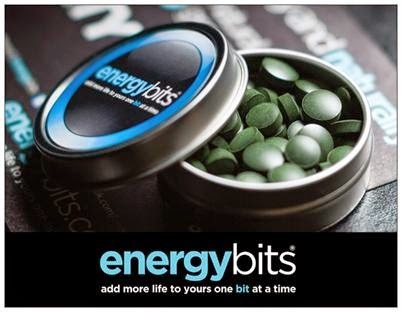 Remarkably ENERGYbits® have just one ingredient, organically grown spirulina algae. Not only has spirulina algae been a favorite of Olympic athletes for decades, it is the most environmentally sustainable food in the world, has been endorsed for thirty years by the United Nations and NASA and is only ONE calorie! You can read some more about algae tabs here. Um….WHENEVER! They’ve marketed the product for athletes and endurance sport athletes but I’ve used it before HITT classes, spin classes, running, final exams, to get through the work day. Energybits is used before whatever you need the energy for. While Recoverybits is for…recovery! Take 30 Energybits before your race or whenever you need energy and remember to swallow them. Trust me you do NOT want to chew this stuff. From Energybits: When a handful of ENERGYbits® are swallowed 10 -15 minutes prior to a workout, race, game or run, they provide a steady flow of energy, eliminate fatigue and speed recovery, all naturally and all without digestive distress. The reason is simple. ENERGYbits® do not contain any caffeine, sugar or chemicals yet they have the highest concentration of protein in the world (64%), all in amino acid form which are absorbed instantly to provide a steady flow of glucose. ENERGYbits® also contain 40 vitamins/minerals, natural nitric oxide to open blood vessels, antioxidants to fight free radicals, Omega 3 to reduce inflammation, iron to prevent fatigue and electrolytes to prevent dehydration. All this from just one ingredient –organic spirulina and all for just one calorie per tab. And so many other things! Cons: Probably that you can only order online & it’s a bit pricey ($115 for a bag of 30 servings). Also, it most definitely smells like Goldfish food! (or any fish food – but I had a goldfish growing up). That being said, it’s definitely ok to eat in the morning with breakfast. But I highly recommend NOT just having coffee with energybits for breakfast, that actually gave me a stomach ache. I loved Energybits enough to become an ambassador! I bought my first bag a few weeks ago. If you’re wanting a bag of your own, use my discount code JUNGLE for 30% off your next bag ($80.50 + shipping)! 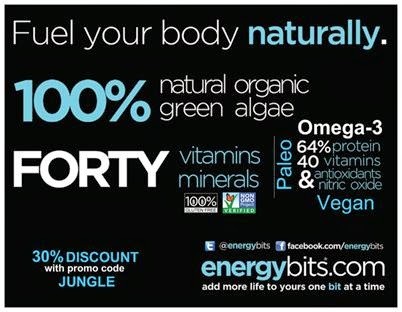 You can only purchase them online at www.energybits.com so when you check out, just enter discount code JUNGLE into the coupon box and your discount will immediately show up on screen. 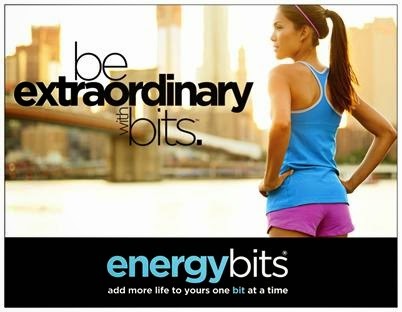 The discount works on all products (Energybits, Recoverybits, Vitalitybits, Skinnybits). If you break down the price, it’s about the price of a cup of coffee. If you want to win some samples, enter my giveaway! To enter the giveaway, tell me what’s your favorite way to keep your energy up during the day. Leave a comment below by Monday, 12/22/14 by 11:59PM ET. Winner will receive two samples of Energybits. Disclaimer: This is not a compensated post. 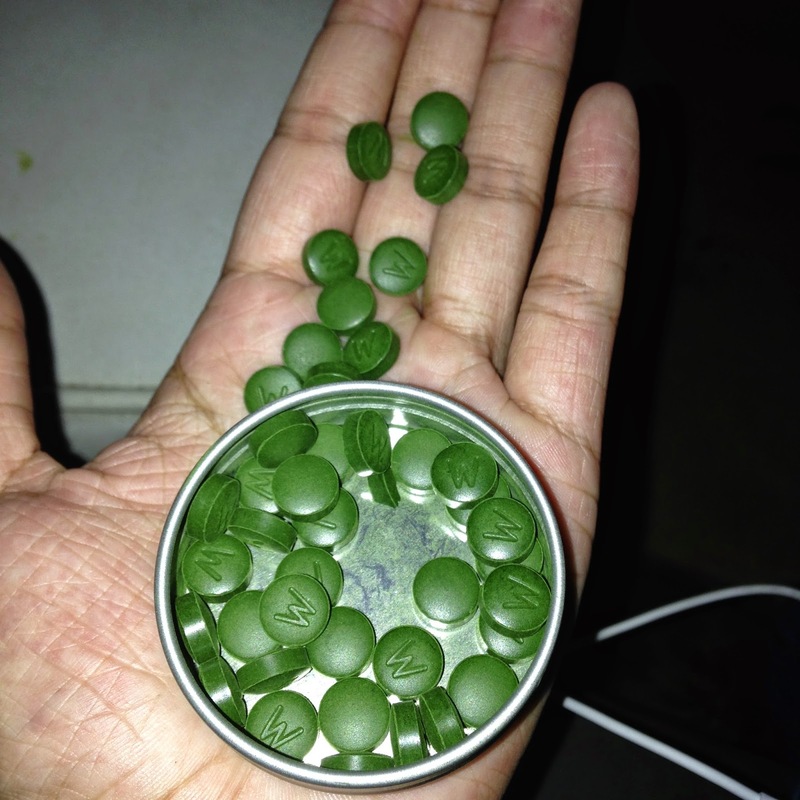 I received complimentary Energybits and Recoverybits from Energybits. These are my honest opinions. I'm a full time student as well, in an accelerated nursing program, so I spend a lot of time just sitting in class. When I'm dragging I've found getting up to stretch helps or even a quick 5 min jog around the building on breaks wakes me up. I also eat a bunch of usually healthy snacks (and sometimes energy bits) through out the day instead of a big heavy meal. This has really helped, I'm not snoozing after lunch like a lot of my classmates. When I'm dragging during the day, I grab an apple or a mug of green tea and try to get my blood flowing with a mini-workout if I can. I love energy bits, thanks for the giveaway!